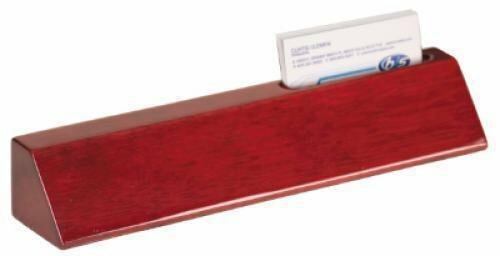 Rosewood piano finish name bar, sitting on a base with gold finish accents. 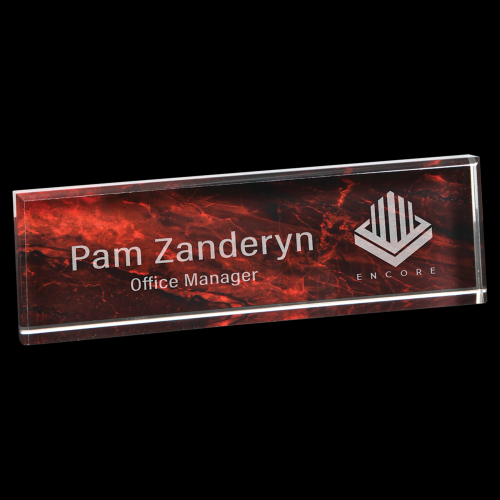 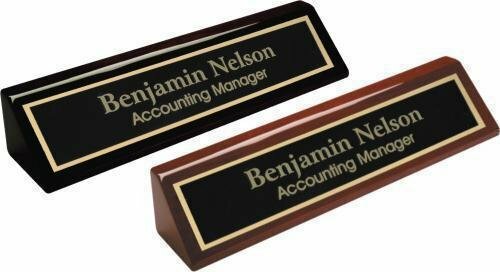 Personalized name plate adheres to the name plate. 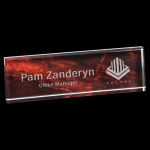 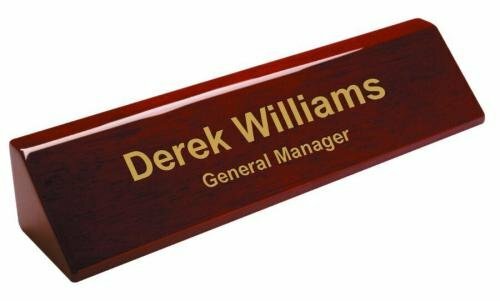 Red Alder Desk Wedge available in 2 sizes personalized with nameplate completes this desk wedge. 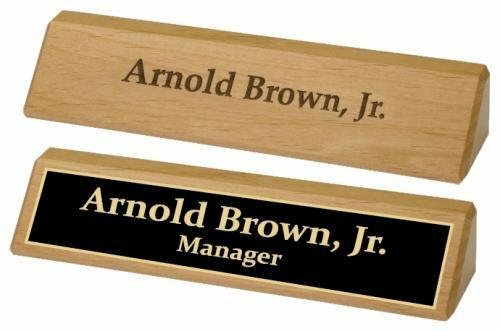 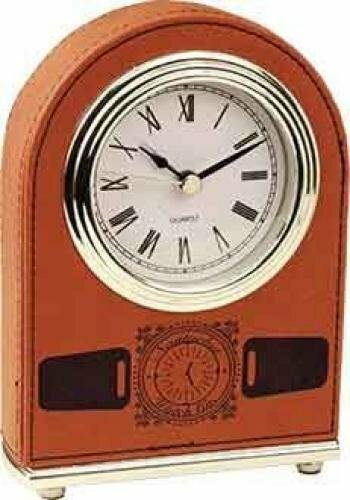 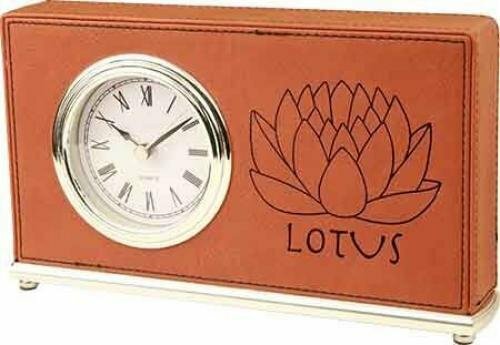 Also available as laser engraving directly into the wood.